Hunters' paradise! Abundant deer & turkey; also pheasants & black bear. 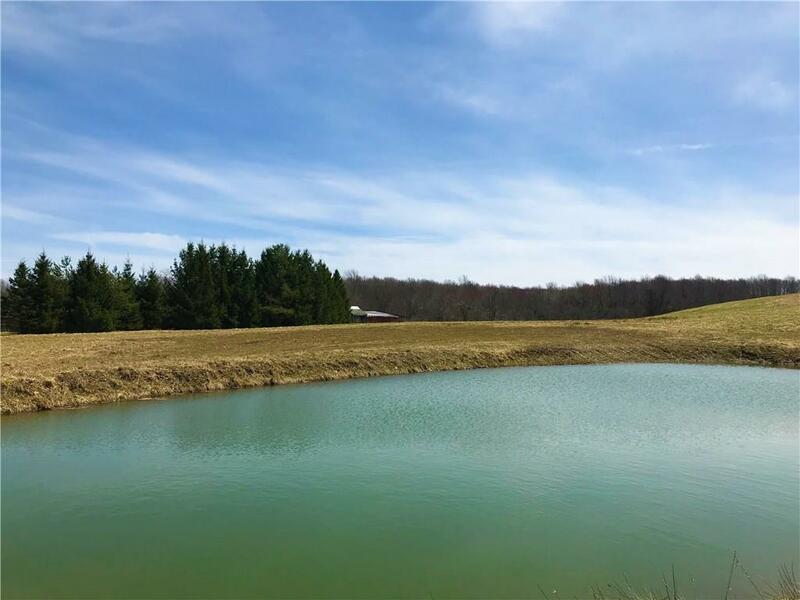 100 acres, approximately 2/3 wooded, rest open meadow. Possible timber value - select cut approx. 15 years ago. Picturesque stream runs through the woods. Pond stocked with bass. Small apple orchard, wild raspberries, sassafras. Several lovely spots to build your dream home in the peaceful countryside. Electric, well & septic on site. House on the property has been vacant several years and has no value - sold as is where is. Barn is in good shape, with concrete floor, metal roof, electric & water. 2 gas wells provide small royalties. All oil, mineral, gas, timber rights transfer. Directions To Property: About 3 Miles West Of Stockton....dean Rd, Left On Coe, Right On Barber.